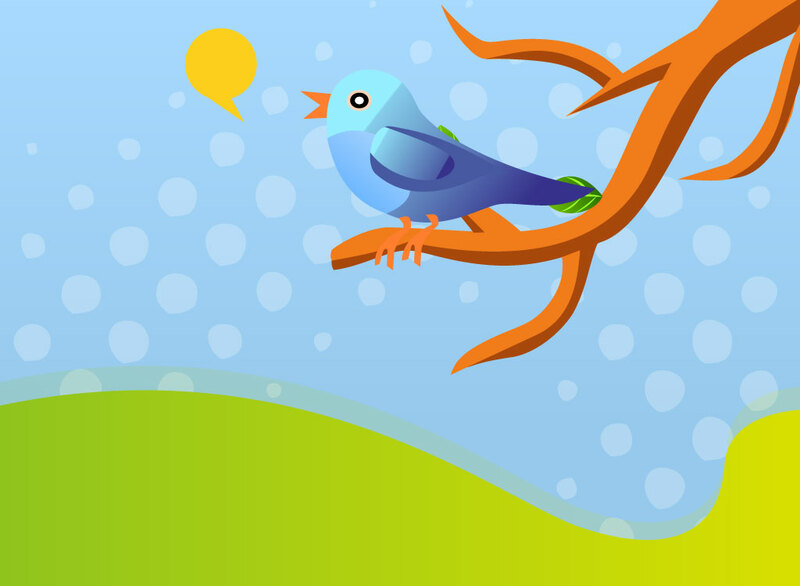 Cartoon vector scene featuring the Twitter bird sitting on a tree branch. Graphic comes with a blue halftone dot background image. Free download for sidebar ads, custom links to your Twitter account or add a URL to a traditional print design to boost your social media visibility. Tags: Message, Social Media, Social Network, Twitter Cartoon, Twitter Vector, Whistle.